Angel Tritone is the youngest of the Tritone clan. She wants to make a name for herself and prove to her brother Rod that she should be in charge of the Coalition. Angel knows if she can pull off her latest research then her brother will have to give her the job. Angel leaves home in an effort to study humans and their behavior. She hopes to also save the marine life. While out conducting her research, Angel gets chased by a shark, She climbs aboard a boat to safety. Being a single dad isn’t easy for Logan. Though, Logan loves Michael with all his heart. 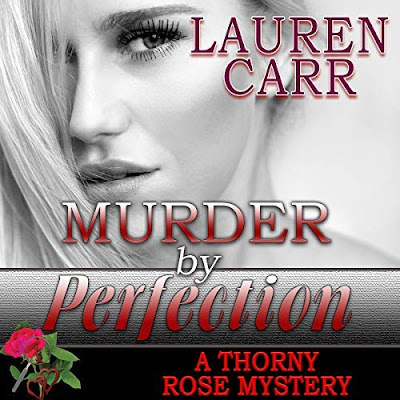 When Logan finds a naked woman on his boat, he believes she must be an angel as she is beautiful. How will Logan react when he discovers the truth about Angel? The best and worst thing about this series is that it ended with a great, big splash and the worst thing is…that this series has come to an end. I have enjoyed joining Reel, Erica, Rod, Valerie, Angel and Logan and their adventures with the deep blue sea. Angel and Logan make the perfect couple. The chemistry they shared was so hot that I needed a cool drink of water. I have to admit though that Michael stole the show for me. He was so cute. 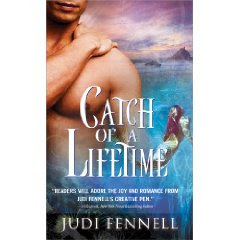 I only have one last word and that is…you better pick up a copy of Catch of a Lifetime before it swims off the bookshelves! This was a fun read, wasn't it? Of all of them this one was my favorite. I'm glad you enjoyed it too. Dar- I have to say that book one and this book were my favs.